The picture below is of one of the temporary classrooms being used since the earthquake destroyed the original school building in April, 2015. As you can see, the conditions are poor and not suitable to help these children learn and build a better future for their families. The space is cramped and ill-equipped with only a single white board for writing and a couple of dilapidated desks and benches. It’s a far cry from the classrooms most of us learnt in, and from where we want our children to learn. By raising only $60,000 we can take this temporary structure down and build these children a safe and solid 6 room school that will stand up to any future earthquakes. This seems like such a small sum when you think about the huge impact it will have on the lives of everyone in this village for years to come. 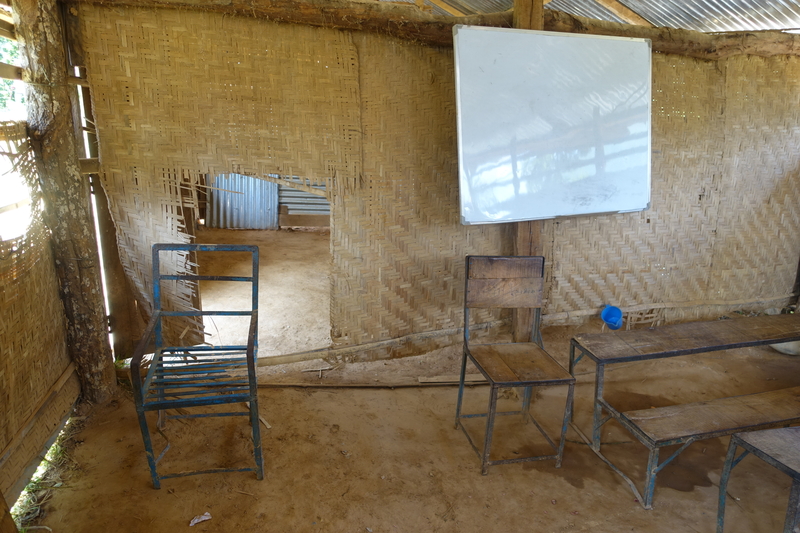 Please help us give this village its school back – Donate Now!